You never realize how important your hearing is to your everyday life until it no longer works like it used to. If you ever find you are having trouble with your hearing, schedule a hearing evaluation with your trusted Calgary audiologist. If you do find that you’re a viable candidate for hearing aids, schedule a hearing aid fitting as soon as you can. 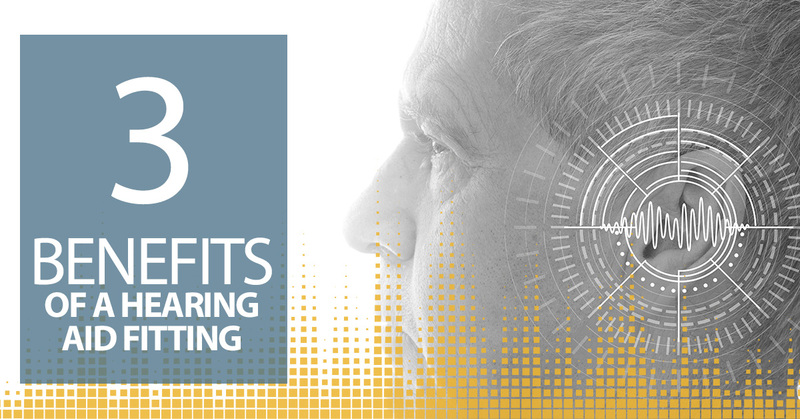 We’ll go over the three benefits of a hearing aid fitting in this blog post to help you prepare for what you can expect from this extremely advantageous service. If you’re ever looking for a reliable audiologist in Calgary, as well as a team of helpful hearing experts, look no further than Audiology Innovations. We can help you find the best hearing aids for your individual situation, and our mission is to serve as an educational resource for those struggling with hearing loss or deafness in our local community of Calgary. Contact us today to learn more about our hearing services and how we can best serve you, and continue reading below for our three benefits of an expert fitting service for hearing aids. 1. You’ll find the best size of hearing aids for you. You want to ensure the hearing aids you select properly fit your ears. When you purchase your hearing aids from a qualified, experienced audiologist you can trust, you’re more likely to find the best technology and fit to help you hear as you’re supposed to. Some hearing aids require that an impression of your ear is taken to ensure optimal comfort and hearing assistance. 2. You can trust our hearing professionals to do a thorough job. Our audiologist is well-trained on up-to-date hearing aid technology, and our team will only suggest what we know will best work for your everyday lifestyle. Hearing aids, unfortunately, are not one-size-fits-all, which is why you want to get the help of a hearing expert during your professional fitting service. We’ve connected hundreds of patients with their ideal hearing aids, so we know what will work best for you based on our previous experience. 3. You’ll make the right decision. Our goal is to improve your hearing in any way that we can. During a hearing aid fitting, we’ll go over the hearing aids we think will best benefit you, keeping both fit and style at top of mind. Whether you opt for a smaller device or one that is more traditional in style, we’ll always ensure you have total control of your treatment and that you leave our office feeling like you made the right decision. On top of that, when you have a hearing aid fitting appointment, you’ll not only get help in making the right decision — you’ll also learn how to care for your hearing aids and how to properly use them. If you think you could benefit from hearing aids, or if you find that a loved one can’t hear quite like they used to, please don’t hesitate to reach out to our team. Our audiologist and team of hearing experts in Calgary can help you schedule a hearing evaluation or any of our other hearing services so you can find the best solution for yourself or your loved one. We can also provide you with the educational resources you need to better understand your situation. Contact us today to schedule an appointment or for more information about hearing aids.